On Device Research has today released findings from the latest wave of its Path to Purchase tracker which reveals some of the key trends influencing UAE consumers’ media consumption habits and shopping habits – both online and offline. 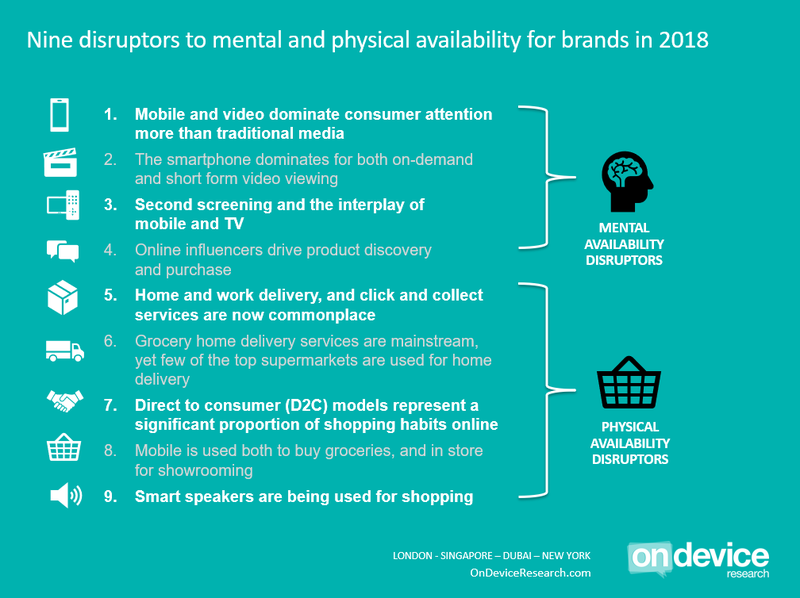 The survey of 500 UAE smartphone owners reveals that while digital creates considerable disruption to how brands maintain and grow both mental and physical availability, it also introduces a whole host of exiting new opportunities in how brands can engage with consumers and measure marketing effectiveness. Furthermore, the report highlights how some of the biggest retailers in UAE (such as Carrefour, LuLu Hypermarket and Spinneys) are specifically impacted by these trends. 59% claim to be watching more online video than a year ago with mobile being the platform of choice. 31% prefer influencer content over mainstream broadcaster video.